Summer is upon us! Depending on your perspective, this can be the best/worst time of year for an adult in the life of a student. Over the next few weeks, you might see more joyous posts on Instagram from teachers with more trepidatious thoughts from parents. But for the student, this can also be the best/worst time as well. You see, for many students this time of year means freedom. They can sleep until noon (or 3), not be bothered with homework and other expectations, and generally just be free to do what they want. This freedom comes with an unburdening of sorts and a place to just “breathe”. Yet for others, this time away from school comes with a subconscious “dread” of sorts. This might seem strange, but go with me on this. I’ve worked with a lot of students who “hint” at their anxieties of having too much free time. They know when the structures and accountabilities of school are removed, they are more likely to make poor choices and get off track. This is rarely stated explicitly, but is more implied. We as a community who love students need to take notice. I’m not saying we need to create all kinds of programs and structures to keep kids busy. Our kids are busy enough. Summer is a welcomed time to get away from the often overbearing systems that can weigh students down. However, we also need to understand that there are students in this world who thrive on the structure and expectations local school districts provide. The great work teachers and administrators do on a daily basis afford a framework for students to thrive, especially when their home life is chaotic and devoid of structure. In general, I think the absence of something can highlight significance. When we lose a loved one, we gain a deeper understanding of their impact and significance on our lives. When we walk away from something, we see all of the ways we were blessed by it. School is no different. While teenagers will gripe and complain about having to be there, you will find a sense of appreciation about school when it isn’t there. They miss their friends, teachers, and learning – even though many would never admit to that. So, why am I posting this? 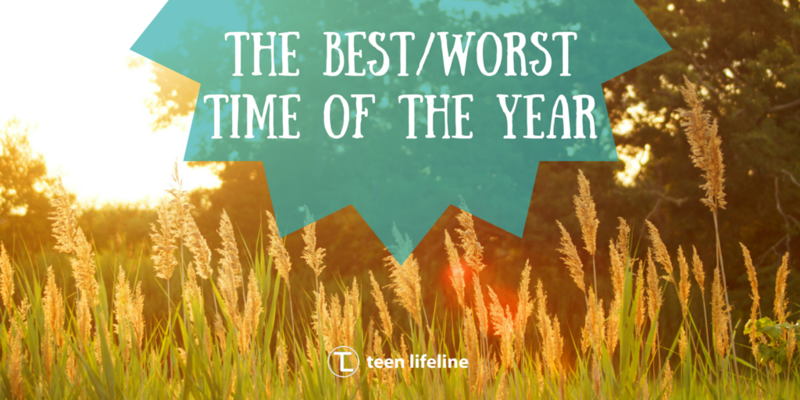 Are you expecting 5 good tips to keep teens busy this summer? Sorry, I don’t have that for you today. But what I do have is a “thank you” for our teachers and administrators. Thank you for standing on the front lines of education, culture, social norms, and future-making. I cannot think of a place where the entire world intersects for teenagers like their local schools. And, you guys have to create a space where all of these things interact and function in a healthy way. This is an impossible job, but you keep showing up day after day to love these kids and show them a better future. If I might say this, you are doing God’s work in this world, and as we see the absence of this work for a few months, we are reminded of the impact of your tireless service to students. So, thank you. Thank you for dealing with the impossible teenager and their impossible parents from time to time. Thank you for being on the forefront of “culture wars” and having mud thrown at you for trying to do the right thing. Thank you for enduring politics and confusing state laws to give a student some kind of hope for the future. For those who work at schools, you are loved and appreciated. Stay with it. Don’t quit. You make a difference, and your influence wouldn’t be the same doing anything else. Enjoy your rest. Your students will miss you, but I am thinking you might miss them a little also.